You heard it here first! This is one of the big surprises that I’ve been dying to share with you all. Walmart is rolling out the holiday savings early this year with a pre-Black Friday sale. There are some fabulous deals on electronics starting at 8am on Saturday, November 8th. Stay tuned to Deal Seeking Mom for the inside scoop on all the hottest deals at Walmart for Christmas this year! FREE to $0.25 ea. after coupon! There’s still time to get a sweet deal on Halloween candy at Walmart before Friday! Don’t forget that Walmart will match the price of any local competitor’s printed ad for an identical product! 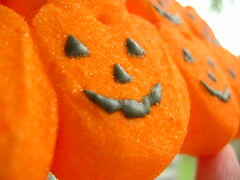 Stop by Mommy Snacks for the candy sales at Meijer, Kroger, CVS, Walgreens, Kmart, and Amazon. While you’re there check out her beginner’s guide to shopping with coupons. It’s an excellent series!